Chinese ringneck pheasants gained a foothold in Western Oregon in the late 1880s and populations blossomed throughout the Willamette Valley and were thence transported throughout the rest of the country. During the Great Depression, many a struggling family made regular meals out of wild birds hunted up in nearby fields. For most of the last century, pheasants were common throughout the state of Oregon. As urban sprawl and efficient farming practices took over; as raptors increased in abundance, the pheasant lost and today, a wild rooster is a rare sight indeed in Western Oregon. Out east of Interstate 5, east of Brownsville, at the foot of the Cascades, on the upper Calapooia River, is a wetland and timber property that preserves the flavor of the heyday of Willamette Valley pheasant. George and Mary Jo Dern purchased the 150-acre property in May 1994 and began to rehabilitate the land which had been clear-cut in the early '90s. To establish baseline data and gauge the advancement of their efforts, they began a bird survey to document avian changes as habitat improved. Slash piles were burned, large areas of blackberry brambles and Scotch broom were cleared, soil was smoothed and shaped; snags and desirable vegetation was left for wildlife habitat. Two years of data showed that bird species richness increased 32.5% from Year 1 to Year 2 while bird abundance increased 137%. Twenty years later, the property retains a natural character, shaped by the Derns with multiple shelter belts of native cover for wildlife and for hunting. Today, the property is characterized by the riparian vegetation, Douglas firs, alders, cottonwood, small patches of blackberry, Oregon grape, native grasses and Scotch broom. "We try to work with what nature gave us," George Dern says. Pugh Creek, a perennial stream flows along the western edge of the property, the Calapooia River cuts through the northeast corner. 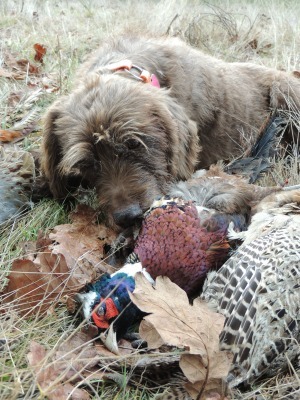 The property is licensed for a preserve and Dern's focus is on pheasants. Birds that have "gone native" nest and raise broods in the thick cover, but the Derns buy pheasants from a breeder in nearby Scio, Oregon, and are proud of the birds' flying prowess. The Derns limit hunts to one group at a time for exclusive use of the property. There is no livestock on the property and no farming other than for the birds and wildlife habitat. For those that want a clay pigeon warm-up, Derns will throw targets. For the hunts, Dern recommends No. 7-1/2 shot. Hunts start in a secluded glen at the end of the road where a couple of outbuildings and a covered picnic area provide a natural orientation area. Derns begins with a safety discussion and bird hunting philosophy speech wherein he assures hunters that no birds should be missed. Then he makes the hunters step inside the outhouse for a "shooting from the shitter" session. Clay pigeons are thrown through the trees and only after a bird is broken is the shooter allowed to step out of the crapper. Hunters and dogs start along the trail down Pugh Creek through the alders and fir trees. This is Dern's "grouse walk" where he plants hens to replicate a traditional hunt for ruffeds and blues. The trail leads out of the timber and across a bridge, into a field of Scotch broom and shelter belts. We brought a French Brittany with us and Dern supplied two vizslas and a pudelpointer. Our group of five made a half-day hunt; we stopped halfway through for coffee and homemade cookies; the birds were wary and strong fliers. Dependent on temperature and conditions, the Derns begin booking hunts in August and the season continues through the end of March. A calendar on the web site gives a quick idea of open dates left in the season. Thanks to new rules put in place by ODFW, the Wildlife Ranch will book dog "training" sessions through April 30. A full-day unguided hunt costs $675 (up to four hunters)¬¬¬¬ and includes release of 15 roosters and ten hens. A half-day unguided hunt costs $280 for up to four hunters and a release of four roosters and six hens. Extra birds may be purchased at the rate of $20 per hen and $25 per rooster. Hunters can request a dog and handler for an additional $150. Bird processing costs $2 per bird. Upon request, the Derns will arrange a European style half-day shoot for $300 per shooter, a minimum of five guns and a maximum of ten; 20 hens per shooter. The event runs 8am till noon and includes clay target shooting before the hunt, bird release, retrieval of birds by dog and handler, hunt-up of liberated birds (unguided) and bird processing. Hunters can fly into the nearest major airport at Portland and rent a car for the 70-mile freeway drive south to Albany. An option is to fly into Eugene. All services are available in Albany and Eugene; some services in nearby Sweet Home. 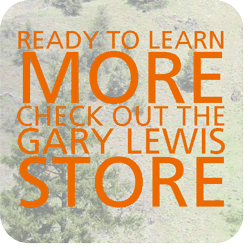 An Oregon 3-day nonresident hunting license ($26.50) allows the hunter to pursue upland birds and is available at sporting goods stores and on the ODFW web site. A one-day preserve license is available for $6 for Oregon residents, $12 for nonresidents, and may be purchased from the outfitter. For information, or to request regulations, call 800-720-6339 or visit www.dfw.state.or.us.